Prince Philip turns 97 today, but Buckingham Palace says he has no plans for celebrations as he moves a step closer to becoming a centenarian. After retiring from public duties following a lifetime of service, a spokeswoman confirmed the Queen's husband is marking the occasion in private. 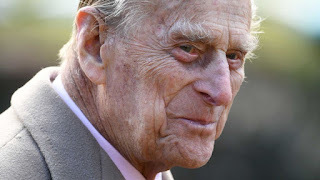 The Duke of Edinburgh did not attend his wife's official birthday celebrations on Saturday, when other senior royals gathered to watch the Trooping the Colour parade. Born in 1921 on the Greek island of Corfu, Prince Philip has kept a low profile since his final public engagement in August - the last of 22,219 attended since the Queen ascended to the throne in 1952.